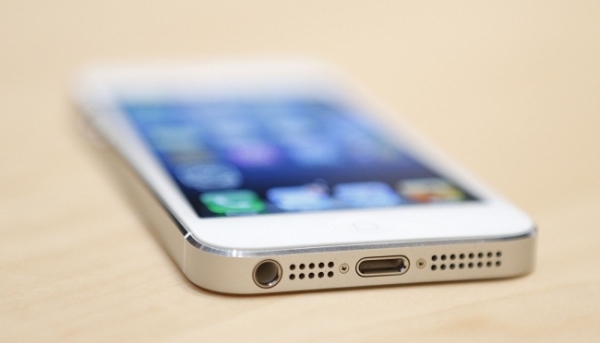 Since its recent launch, Apple’s flagship iPhone 5 has not once been the subject of criticism. Check the 5 reasons for which the much-awaited device has been condemned, and which of the problems have been solved by now. The most discussed and probably the most disappointing, Maps that come with iPhone 5 is the first glitch of the device. After abandoning Google Maps in favor of its own mapping system, Apple has been criticized for not reaching the high standards, as users from different countries complained that the app misplaced some landmarks and had no mention of others… But the recent reports about the iOS 6 Maps improvements are quite enthusiastic… However, Tim Cook apologized for the error and suggested users to use other mapping systems like Google Maps, till the company advances its own mapping system, at least till the level it’s worth using. Another problem concerns the camera in iPhone 5 – the heavily discussed purple flare in the images taken with the device. Numbers of recent reports suggest that the issue is due to the new sapphire cover that has been added to the camera, while Apple’s official support article claims the same may happen to the cameras in any previous iPhone models, and it’s because we’re holding the device wrong - ''Moving the camera slightly to change the position at which the bright light is entering the lens, or shielding the lens with your hand, should minimize or eliminate the effect,'' says the official response. The company also suggests shielding the camera with the other hand for shading it from the light to avoid the purple flare. Customers are pretty disappointed with this advice. The fact that iPhone 5 price differs from country to country, it’s quite inconvenient for users to search for cheaper unlocked alternatives. For example, it’s yet unknown what the price of iPhone 5 will be in the Indian market, while some say it’ll hit Rs. 48,000 there. With the great demand on reasonably priced smartphones, it seems iPhone 5 will face difficulties in the country. Despite that, some consumers who have to pay more may feel treated unfairly, such as Italian users, who pay €183 more than the US customers. 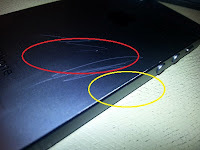 One more issue concerning the iPhone 5 is the ''scuffs, scratches and chips'' on the device. However, Apple’s senior marketing vice president Phil Schiller responds to this saying: ''Any aluminum product may scratch or chip with use, exposing its natural silver color. That is normal." However, this is easily resolvable one- just buy a protective case and that’s it. And the last, but not the least - iPhone 5 has been reported to be drawing down cellular data, and resulting in big overages even when connected to Wi-Fi networks. After the several media reports pointing the issue, Apple came out with a software update and fixed the problem. Have you experienced any other glitch with your brand new device? Do not hesitate to share your experience in the comments below.